Here you can find some of the reviews from our Happy Campers and why some of our staff come back year after year! Would you like to add your own testimonial? Fill out the form at the bottom of the page! Thank you SO much for a wonderful weekend! We all LOVED it! And look forward to coming back again - either as a camper or at family camp - or both! The camp itself is on a gorgeous part of land by the lake. It is a beautiful spot! And while we enjoyed every minute of our camp experience, I think the number one thing that took it from a good experience to great, was your incredible staff! They made our kids feel so welcome and were sincerely interested in getting to know them, engaging them and pushing them to try something new. We are so grateful for the effort they made to get to know us and our camp experience the best it could possibly be. We will be back for sure!!! Why love Sparrow Lake, a better question is how could you not? It's an escape. From technology, from drama, from the real world. When I first came to camp as a wee little suburban Toronto whippersnapper, I was incredibly nervous. Now, I can't think of a place I would rather spend my time. From the basics of the fresh air all the way to the life long friends I've made, to all the phenomenal camp traditions that I look forward to like Air Bands and the Dances (which were resurrected last year strangely) there's nothing about camp that I would change. It's where I laugh, where I laugh some more, and a place where time stands still. If you find a reason not to love camp, I'll listen, but it will take a lot of convincing. I love Sparrow because it is simply a special place. The people there are incredible, enthusiastic, and absolutely hilarious. Laughter is a huge part of Sparrow. Everyone has a good sense of humor because it's a place you can be 110% yourself including all the weird sides (the best sides). This camp has it all; the most real friendships you'll ever make, fun activities, great food, and unforgettable experiences. I love camp because it is a place where being weird is cool. It's a place where you meet new people from all over, and learn lots about life, the world around you, people, and you. It's a place for fun and laughter. A place where I try my hardest to bring it to my life at home because everyone should have the experience of camping at sparrow lake, as well as being proud of who you really are as SLC brings out the best qualities in those people that experience it. I have learned lots about others, and about myself, at Sparrow. It has definitely influenced how I have grown, and my life without it would be unfathomably different. I learned to understand what being comfortable with myself feels like, and confidence bloomed from that. I think my camper-self will live for as long as I do. I love Sparrow Lake Camp because of the strong friendships that are made there. Camp is a place where everyone around you is having a great time playing games like Capture the Flag. 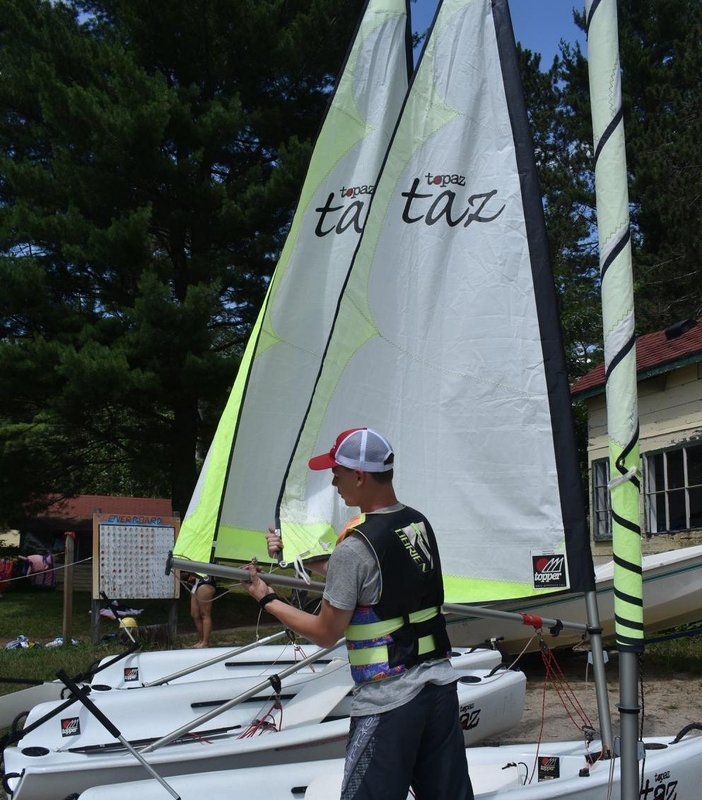 You learn so many new skills at camp, such as sailing or canoeing. I have never had a bad time at camp and would highly recommend signing up for the summer of 2018 and years after that. Sparrow was the camp I would always return to summer after summer. It is the camp that was able to change me as a person. SLC gave me some of the best summer memories any child could dream of. Everyone I met during my time at camp were so outgoing and supportive, it just enhanced my positive outlook on summer and life in general throughout my camping experiences. 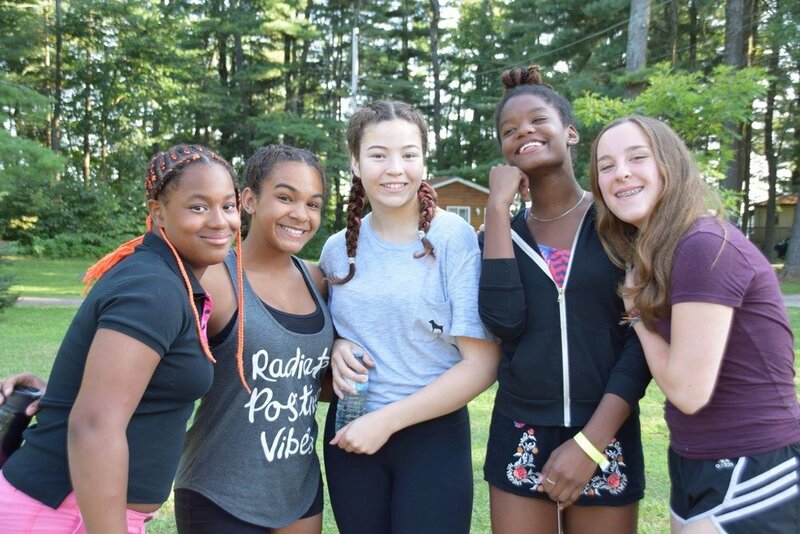 Sparrow Lake Camp is the happiest place on earth, a place where you can go to be yourself, where everyone comes together as one to work as a team to create the best summer ever. This is a place where life long friends are made who will support you through anything! I have been attending Sparrow Lake Camp since I was 8 years old. I love that every year is a new experience with new friends, activities, and memories to be made. Camp has shaped me into the person I am today and I am so grateful for the many skills and life lessons it has taught me . The reason why I keep coming back to SLC is simply because there is no place I'd rather be. I've spent the vast majority of my life at Sparrow Lake and there is not a single place on earth I'd rather be. The atmosphere surrounding the camp is something that cannot be replicated in my mind and I feel at home. Whether it be campfire, games, special day, or the everyday activities of camp there's no better place to be than on Sparrow Lake at the happiest place on earth. Disney ain't got nothing on us. I come back because it's where I am comfortable. Every summer I can be 100% me and not feel judged by my peers. I also love the love that Sparrow always has for people. Sparrow Lake Camp has such a welcoming atmosphere. It is a home away from home where you feel you belong. There is continuous fun every day and fun evening games. You make so many new friends, it's amazing! You never get bored and are always surrounded by people who care. I have been going to Sparrow since I was 8 years old and I can't think of a bad time I have had up there. Sparrow Lake has brought me so many great memories and amazing friends that are some of the closest people to me. It's a great place to unplug and forget about the real world for one, two weeks at a time. Sparrow is my summer home. I look forward to returning every year. The people and staff are very welcoming. I've made many friendships over the years that I still hold with me. S-P-A- DOUBLE R -O - W LAKE. THINK OF ALL THE F-R-I-E-N-D-S YOU'LL MAKE! I love Sparrow because it is my home away from home. Everyone there, campers, staff, the Directing team, is so genuine and really care about you. Coming to Sparrow year after year has made me who I am, helped me develop so many skills and gave me the opportunity to meet my best friends. I come back year after year because I can't imagine my summer without including Sparrow and the people there. I've been going to SLC since I was 5 (this would be my tenth time) and I was really excited to go for LIT, but my parents weren't sure if I'd be able to go. They said I'd have to get a job and help pay but I couldn't find one so I wrote going to SLC for LIT at the top of my wish list and my parents surprised me with a little jewelry box that said I was going to SLC for 3 weeks of LIT. Our daughter went to SLC for her first ever sleep-away camp and she can not stop talking about all the amazing things at camp. The 'take the bus' advice worked out perfectly as she made her best camp friends on the bus. Thanks SLC for providing an amazing experience! Highly recommend! My daughter Lexi LOVES Sparrow Lake camp. It is truly her happy place. At our house the best day of the year isn't Halloween, Christmas, or her birthday; it is the first day of camp. As a young child I was very shy and didn't like meeting new people, but being introduced to Sparrow Lake Camp changed that. Sparrow taught me so many different skills and still continues to teach me new things, even after a decade of camping. One big lesson I was taught is to be yourself. Even if it seems difficult. Sparrow gave me so many unforgettable memories and skills that I'm so grateful for! There are so many reason why I come back every year and each reason is because I love Sparrow Lake Camp! Sparrow Lake Camp has always been a chance for me to be a little different and try things that may take me out of my comfort zone. I love the surroundings and the rustic and cozy setting of the camp grounds. The adventures and experience that I have at camp are some of the most important to me and keep me coming back every year! Sparrow Lake Camp is my second home, it is the place that allows me to be me. SLC is the place where I have met some of my closest friends and everyone is so welcoming and excited to do new things. Sparrow has provided me with the opportunity to learn new things, take risks, and it has helped shape me into the person I am today. I spend every year just waiting to go back to my home away from home! I love Sparrow because of the welcoming atmosphere it has. Everyone is awesome and helps each other out. Camp is a place that lets you be yourself without judgement. It is truly my happy place and I spend all year looking forward to going back every summer to make more memories with new and old friends. Sparrow Lake Camp is a second home for me. This is going to be my fourth year on staff and I could not see myself doing anything else in the summer. The open environment and loving people make Sparrow Lake Camp a must be kinda place. All the smiles and laughs that have happened in the past make you want to experience more. Summer 2018 will be my seventh summer at Sparrow Lake. I cannot imagine spending my summer anywhere else! 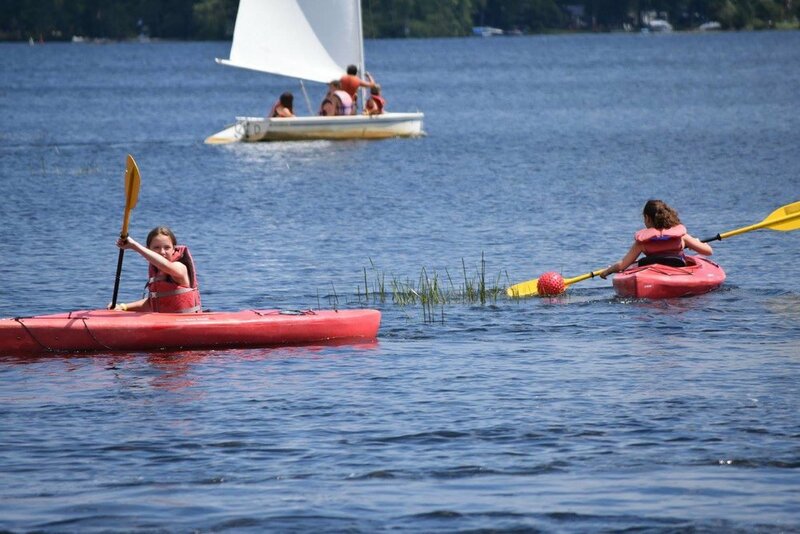 From the beautiful views, to the amazing people, to the wide range of activities, Sparrow Lake has it all! If you're looking for lifelong friendships and an unforgettable summer, Sparrow Lake is the place for you! After 6 summers at Sparrow, I know camp is my second home. Camp has always been a place I’ve felt happy and welcome. Since my first years as a camper I knew I’d return the next summer, between the atmosphere, the amazing people and friendships I’ve had, sparrow has always been where I wanted to be. The staff at SLC is what truly makes it such an amazing experience, throughout all the years I have gone to Sparrow I have never encountered a staff member I disliked. I feel like the people on the staff team now are the role models for the future staff, seeing as I had outstanding role models when I went to Sparrow I want to provide the same to the campers at Sparrow now. Before I ever went to Sparrow Lake Camp I was a shy kid, Sparrow has helped me open up and be more comfortable around people. Sparrow Lake Camp genuinely feels like a "home away from home" because of the great community that has been built there. I love Sparrow Lake Camp because of the great memories I have here and the many things I have learned that made me better as a person. I learned to step out of my comfort zone and that entertaining others is a great passion of mine. I believe that coming back to Sparrow as a counsellor is a learning experience that will help me discover more about myself as well as others, be it new people I meet or old friends that have also returned. I have developed a strong bond with this place and that is why I can't wait to return! 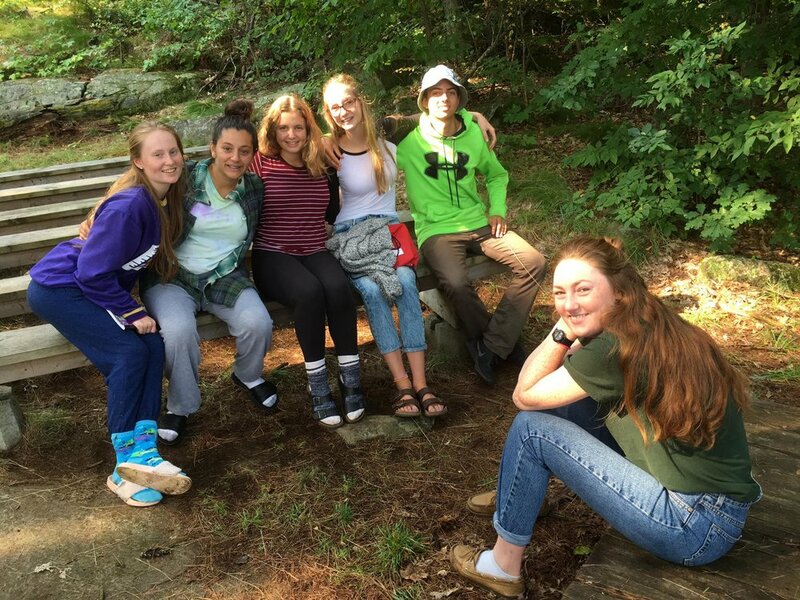 Sparrow Lake Camp is a great place to meet new people, try new things, and make new memories. It's a camp with a rich history and tradition behind it, and to be a part of the camp experience is to be a part of this history. There really is something for everyone at Sparrow, so jump on in and be a part of it! 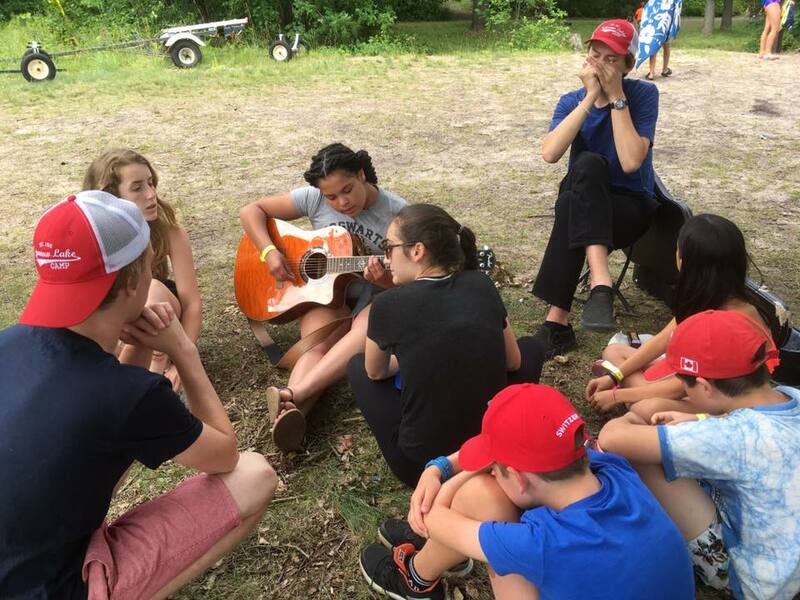 Sparrow Lake Camp gave me a connection to nature, and a safe place for self expression and skill development. 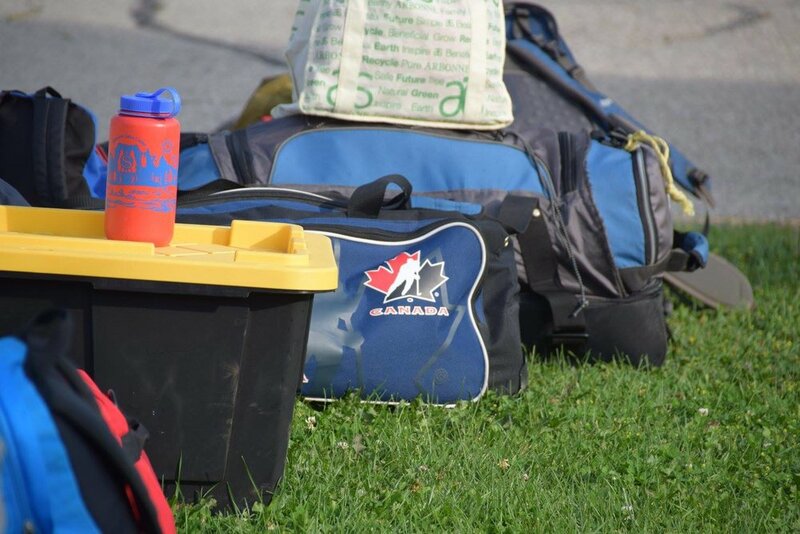 As a child, many of the counsellors that I had were fantastic role models whose attitudes, dedication, and investment in their jobs, made me strive to provide future campers with the same experiences. Sparrow Lake Camp has had such an influence in my life. I have met almost all of my best friends at camp. Everyone is always kind. Every summer is always different and always better. Each year I come back, I meet new people and share the adventure of summer camp with them. However SLC is always going to be more than summer camp to me. It is a home away from home. There's a lot to love about SLC. I love the site, the food, the games and so much more. While these are all extraordinary, there is something that stands above the rest, the people. From the cute PeeWee's to the experienced and supportive directors. I enjoy my time at SLC most because of the love I feel from everyone around me. Growing up, Sparrow Lake was the perfect place to embrace nature, be myself, and make long lasting friendships. The tradition comradery and fun, is so incredible it must be experience first hand! 14 years have passed and I still wouldn't want to spend my summer anywhere else! I've been coming to camp for 8 years now and it seems as though every year is better than the last! I love everything about Sparrow, the people are fantastic, there are always so many amazing games and activities, and I love always being surrounded by so much nature and positivity. There's never a dull moment at Sparrow, and I'm looking forward to another stellar summer! Only your first name will be disclosed.